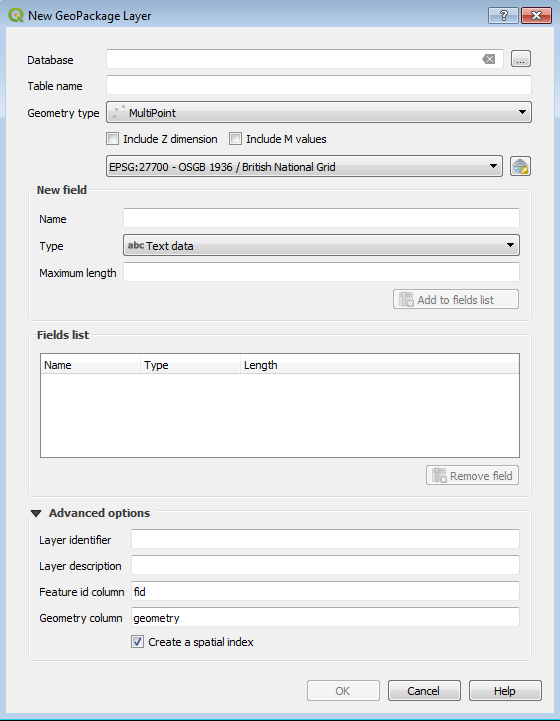 You could say that the 'easier to use' bit is the best thing about QGIS 3.0 - and when you think about it, that's not a description that could be applied to most application upgrades or new versions. 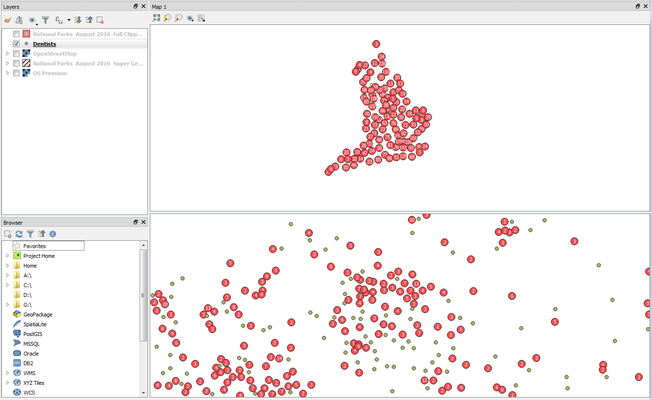 The QGIS team have kept the all the good stuff, and made the rest better. The changelog gives the detail, and although it's a hefty document, habitual QGIS users should have a scan through to see what they can now do. It gives QGIS trainers like me a bit of a problem, as we have to work out how fit to all this into our courses - or more to the point, what we can possibly leave out. While we grapple with this, here are a few highlights, in no particular order. Click on this and you get to a dialogue where you can either browse to a location - file, database, web services - and pick your data source, or choose a data source type to open a dialogue specific to that type. What could be easier? 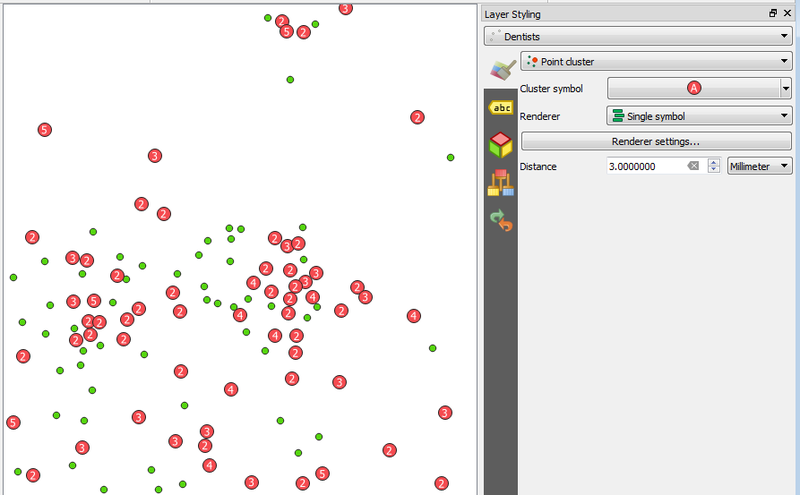 Searches everything - layers, processing algorithms, layouts. An end to menu trawling. 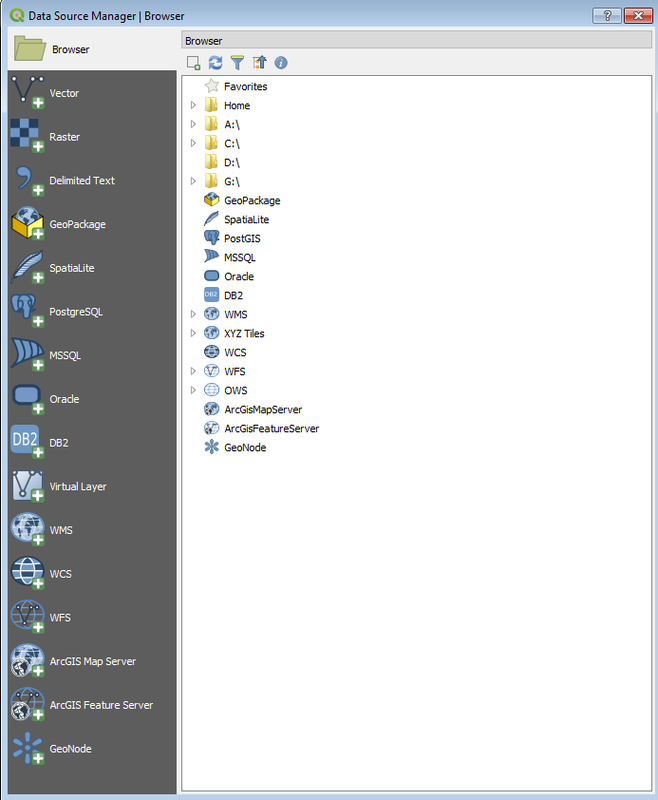 Show multiple map views at the same time - docked, tabbed or floating, like all panels. GeoPackage as default format: the developers have taken the plunge and waved goodbye to the venerable but now outdated shapefile as the default QGIS format (though shapefile is still supported), ushering in the OGC GeoPackage as the file-based format of choice - see the FAQ on this page for more details. This will take some getting used to for most of us, but GeoPackage, apart from having the advantage of being an OGC standard, offers a more extensive set of capabilities than shapefile, without its limitations, so it's to be hoped that this is the format of the future. Print Composers are now Print Layouts - a sensible name change, and not much change to the UI for now, but a lot of code rewriting to fix bugs and provide more flexibility for the future. There's plenty more of course - download it yourself and have a look. Huge thanks are due to developers, sponsors donors, documentors, translators, and all the people who make QGIS possible - it's an extraordinary project which opens up desktop GIS to everyone.